Endurance athletes are continually looking for that next challenge: the next big test, “a do-it-before-you-die” event, that next thing on your bucket list. Why? Many reasons, but I think the answer lies in the spirit of the human soul – the part of us that strives to become better, the part that wants to be tried and pushed outside the comfort zone. The event is the tangible goal to achieve, but the journey by which it takes us is usually what we are thirsty for. When Chris Carmichael turned 50, he was looking for that next big challenge. He found it in a race called La Ruta de los Conquistadores. Deemed the hardest mountain bike race in the world at the time, he found that it lived up to its reputation. But when he made that goal to race it, he didn’t want to do it by himself. He wanted others to come along for the journey. More importantly, he wanted to prove that his coaches could take a group of amateur athletes and 1 professional bike racer, train them, and successfully conquer this race. They did. We did. That year, Chris turned 50 on stage 3 and our group got the overall win with each of the 12 athletes getting to the finish line. This started what is now known as “Chris Carmichael’s Epic Bucket List” – an ever-evolving host of races that test every ounce of one’s soul throughout the journey. 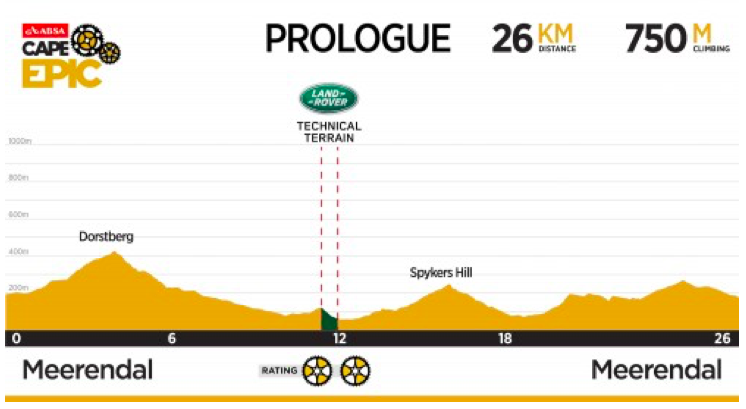 Next up: Cape Epic. It should make for quite the journey… and story. I’m fortunate to race alongside one of my athletes this year in the race, and I’ll be telling the story each day with powerfile analysis from my SRM Training System as well as some tales from the trails. 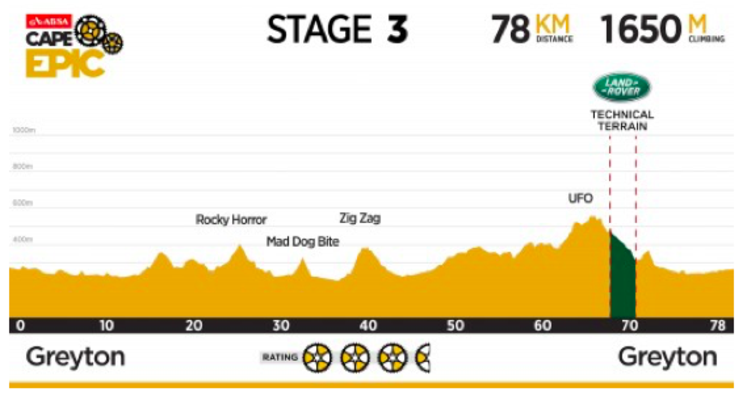 If any part of you has that restless soul, thirsty for the next challenge, read along as we race Cape Epic. If you’re curious of the demands that 8 days of intense MTB racing imposes upon the body, we’ll have plenty of squiggly lines, TSS, and kJ’s to talk about. Or maybe you’ll just fascinated as to why anyone would actually want to do this on a bicycle! Either way, my goal is to tell the story of those racing Cape Epic this year by using analytical software (SRMX) to graphically represent and quantify the efforts we’ll be executing daily; additionally, I’ll include tips and insights on how to train/prepare for this event if you choose put it on your Bucket List in 2018. We kick things off with the 26km prologue on Sunday, March 19th, in Meerendal, South Africa. Check back soon for the race updates and powerfile insights! The start of the Cape Epic mountain bike race is the final step in a journey for many of these athletes. One such gentlemen is my teammate Peter Hughes, whom I also coach. 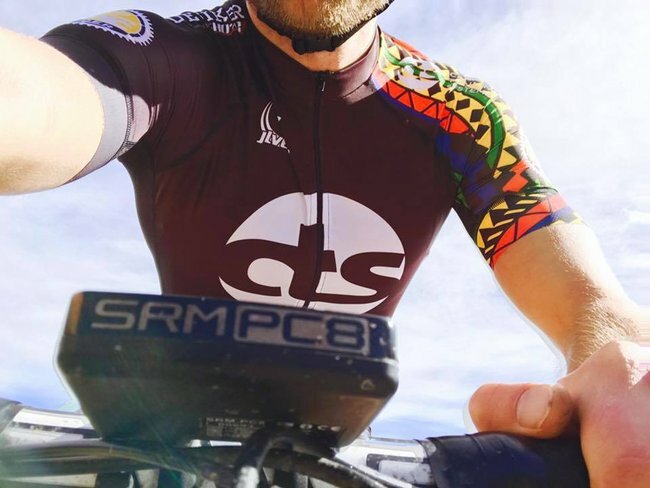 He made the goal to race Cape Epic as a turning point in his life: working long hours and traveling for months at a time was becoming a grind on him and his family; he loves training and riding his bike, so I challenged him to pick something at the “bucket list” level of life. When he decided to race the Epic, his teammate pulled out shortly thereafter. Looking for a companion, he phoned me and asked if I could make it. We talked about what it would take for him to train, to accomplish riding this whole Untamed beast of a race. He accepted what was in store for him, and I accepted the invite. 365 days later, we’re on the start line of the race: he being 20lbs lighter and the fittest he’s ever been. How did we do it? 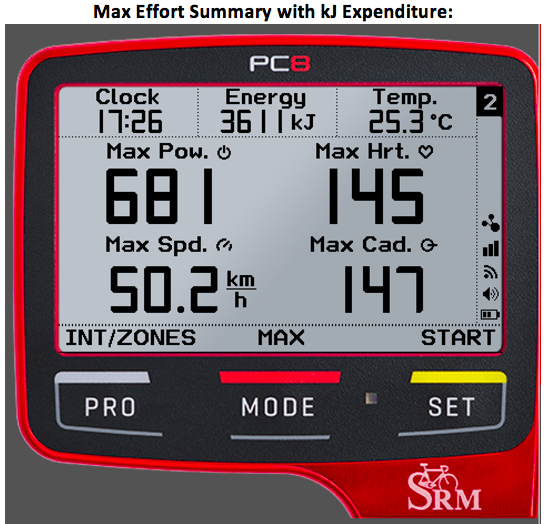 Proper training with a good power meter, sound diet, and adequate rest. Hard work. Smart work. Proper rest. No secrets. The goal was to ride steady and consistently, saving the legs for a big day tomorrow. Nothing spectacular to report back on the day, other than we executed the plan properly. Sometimes when you’re coaching, it’s as simple as that. As we get into more of the race, I’ll be highlighting more key features, such as kJ expenditure and how we use that in fueling strategies, power and climbing rates (VAM) on key parts of the race, and looking at road vs MTB power (how they are similar and where they differ). Most importantly, I’ll come back to the opening statement: the race is just getting going, it’s the end of a big chapter in many athletes lives. What I mean by that is the process of training for huge challenges like Cape Epic are what make us better people. The day-in-day-out of training, watching your meals to eat clean and not in excess, getting to bed on time, rather than staying out late with the gang, or working with your spouse to get the training in because it’s a must, it’s part of the family plan. Training, the process of systematically preparing to reach your optimal potential has far greater benefits than just looking good in spandex: it makes us better husbands, wives, sons, daughters, business owners, chefs, assistants… it makes us better humans and creates a great world. 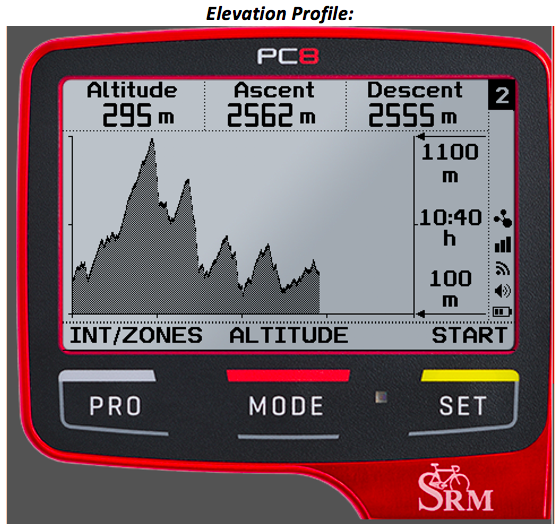 More to come on how SRM can help make that happen for you. Stay tuned! A core concept that gets drilled into you as a CTS coach is to “put the athlete first.” That means at training camps, races, and in all else we do on duty, the athlete’s priorities are highest. That’s the case here at Cape Epic. For me, it’s on the bike, with my athlete Peter Hughes. From race strategy, to pacing, fueling, and hydration, it’s all about getting him to the finish line each day in the most efficient manner I can. He pedals every stroke, and each day is his own challenge, so we ride his pace and I coach him along the way. 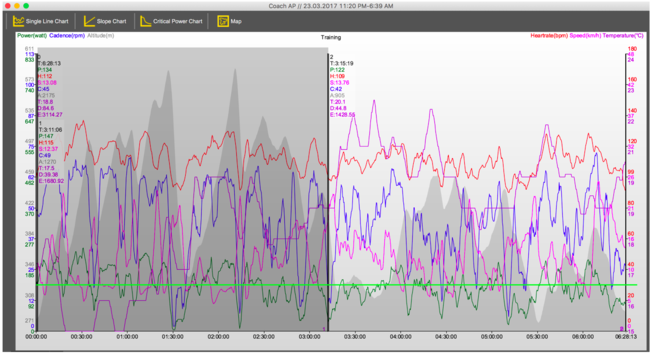 The reason why we train like that is sometimes the whole point of doing a big ride is doing work: going hard as the terrain or race tactics happen. You can’t always plan for it, or know it, so the work needs to be intermittent, unplanned, and throughout the day. 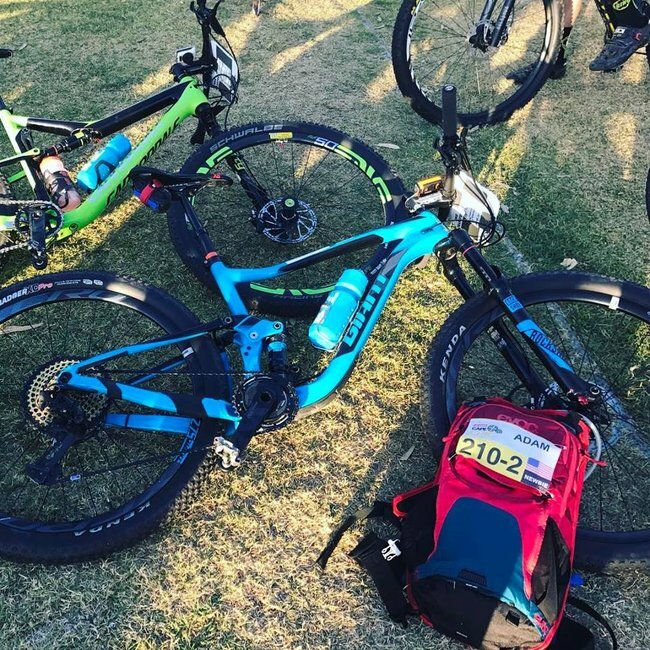 Using a kJ workload goal is a fantastic way to train for epic events like Cape Epic because you need to perform late in the days to get to the finish line. Intervals alone won’t get you there. Another key factor of data that we see in the SRMX powerfile above is temperature. Notice the purple squiggly line that jumps way up, right around the same time of the big hill climb, and just after. We reached as high as 44 degrees Celsius. That’s 107 degrees Fahrenheit. That’s game changing heat… more on that later, but it zapped everyone in a record breaking way. 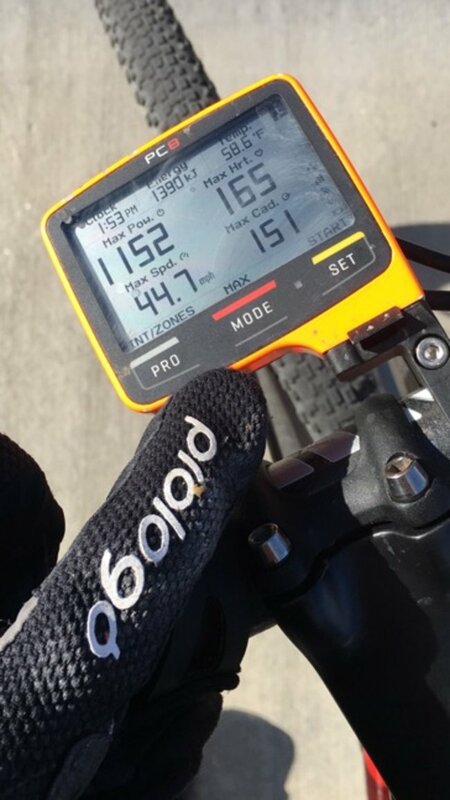 When we hit that hill climb, I was about 2,600kJ into the day. Peter, who is a bit heavier than me, was at about 3,000kJ of total expenditure. Just as we had trained. But, he’s training in the UK winters, not the heat. The training for workload late in the game prepped us well to get to the top in good order, but we took a quick break to cool down when we got up there. The carnage all over the trails of people with heat stroke, bonks, and searching for any scrap of shade was incredible. Without wasting time, we kept pushing toward the finish line. Our total time out for the day was over 8 hours, and even though the final 20km wasn’t much climbing, the twisty-turny single track with sharp punches and relentless heat added up. Coaching him on what fuel and hydration to put in at the ravaged aid stations just to make it home was a bit of scientific knowledge (electrolytes and water vs who knows what sport drink) and experiential (ice cold coke, but not too much…). Finally, any sprinkler or local with a hose on course we got a dousing from to stay cool and get core temperature down. We were knackered… but crossed the line and lived to ride another day. 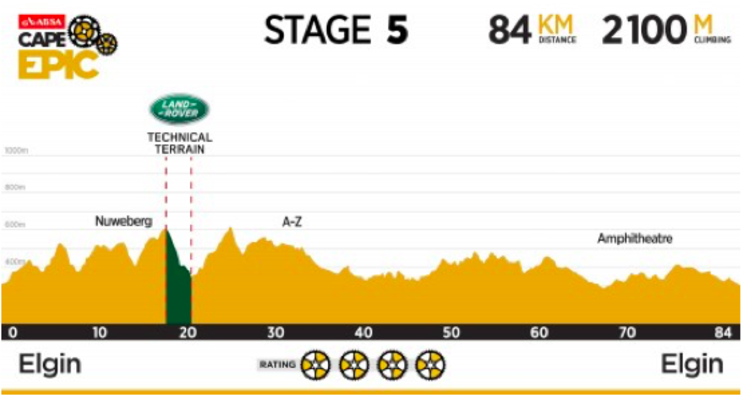 In the history of Cape Epic, they’ve never adjusted or shortened the route. Today, they did. With never before seen temperatures during the race, forecasted to up to 110 degrees, they had to shorten the race otherwise they would have lost half the field – to DNF or worse. It was welcomed news that we got literally about 1hr before race start. Instead of 102km, we were slated for 62km: a relief, but not a day off. The heat would still be there, and we still had over 1700m of climbing to finish on the day. Part of doing these epic, ultra-endurance events is being able to roll with the punches and change plans when needed. We got word to the athletes, and most of us didn’t change nutrition plans, but we could carry a bit less. I coached Peter to do the same. I carried a bit more myself – just in case – knowing that the heat would be crazy high and with only 1 official aid station, it’s better to have more than less. “Always keep moving forward” is the mantra for Peter and I. Even if it gets steep and we unclip then push, or the group gets blocked up in the singletrack, we always keep moving forward. But here’s a bit of a tip: putting in a bit of work early on with a higher tempo, we’re able to gradually pass other riders on the start of the paved and dirt roads before getting into the single track. If you can do this, you’ll do yourself a big favor by not getting jammed up as much. You’ll move through the course quicker, more efficient, and have better line choices. Employ that on your next big event, see how it works. To keep it simple, this chart is comparing peak power efforts (top line with circle dots) with other time periods (see legend in top right corner for this). Now, the key thing to check in on for “medium pacing” is looking at the bottom black line, the one with no dots running along the middle of the green area. This is my peak power for the week thus far. Peter’s is similar. No crazy spikes or sprints, no big TT efforts of 20-30min, and the longer we go, the power will eventually meet up as we get into 4hr+. The reason for that is once we’re over 4hrs, we’re into a training ride type pace for average power. Sometimes, you may see new peak 4-6hr records at events like this for the sheer reason you may not train 6hrs hard or have a race of that long. 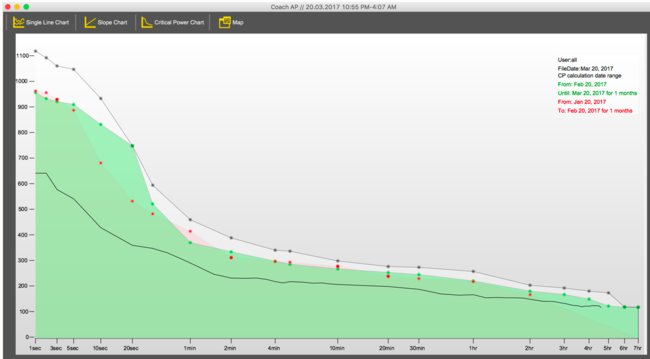 Either way, explore the critical power graph more on your own SRMX for a historical look at your peak powers and current training phases. Hover over the dots for the exact info like peak power, date, and clickable point to bring you to that file. The heat did come. And even though we had just over half the original prescribed duration, we came to the line properly fatigued. A quick comment about the race officials at Cape Epic: this was an AMAZING decision. The whole field thanks you. If we would have done another 102km today, the med tents would have been full (again) or perhaps worse. 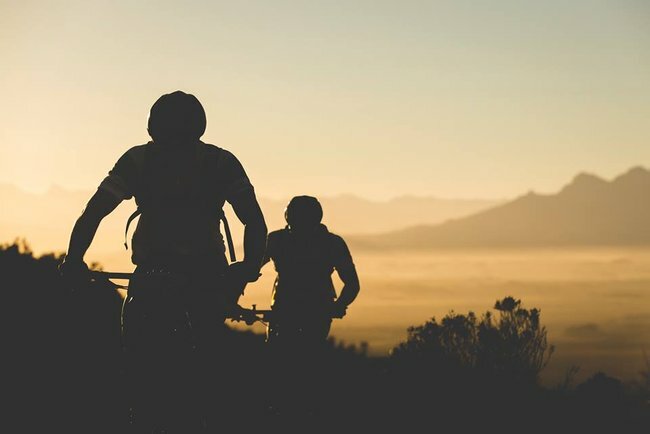 Anyone looking for their next epic challenge, you have it here in Cape Epic – and you’ll be well looked after. 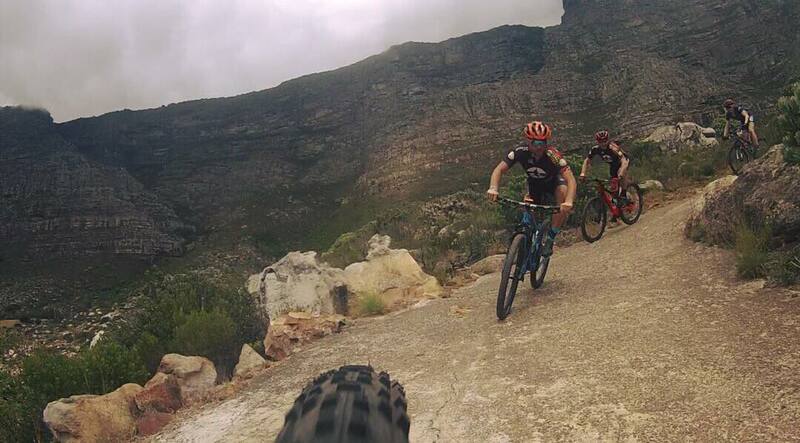 Cape Epic tests all aspects of being a mountain biker. If you think you can show up with just good fitness and climbing legs, you’re wrong. Stage 3 was that test. After some quick road miles, we dove into singletrack and was in it nearly the whole day. Rocky, dusty, twisty, and mmmm…. Delicious single track. But the fatigue is adding up, and many people were overshooting the switchbacks, bashing cranks into rocks, and getting jammed up in the tight sections. 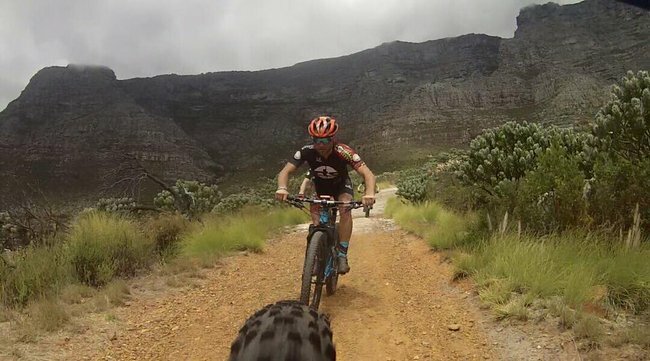 Part of the proper training is getting into single track so you flow through it; you can lose a lot of time and energy in 1-track riding if you’re overbraking and not using your momentum. Sometimes, kJ expenditure is lower on these days for a good rider because you’re not pedaling as much – you’re using momentum and gravity to get “free miles” and conserve for the hill climbs. Efficiency is everything. Especially on day 4 of a 8 day marathon race. It was a little over 5hrs of pedal time and about 6hrs total with hiking and water point stops, we racked up another 2600kJ. You can also see that the heat was back – another 41 C degree day, the heat stress is adding up for us. That and a bit of a stomach bug myself, I will admit – I am feeling it! Just the opposite of yesterday, today was the day for roadies. It’s only fitting that Cadel and George got the stage win. 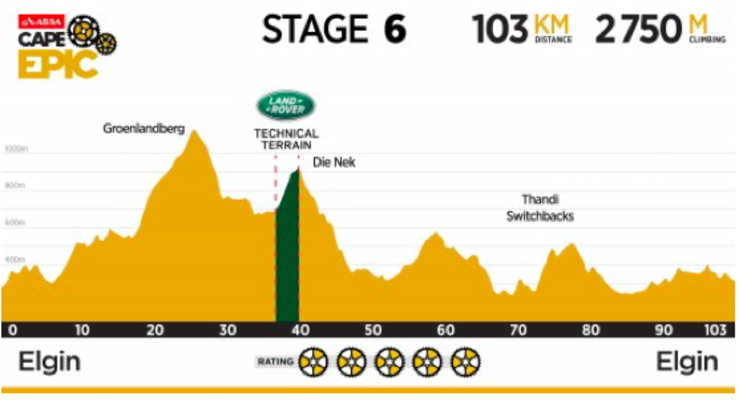 On a day like this, you need approach it with road race tactics, rather than the typical MTB’r that would rather just ride solo and rally it on the descents. With 112km of mostly gravel roads and strong headwinds Peter and I tried to stay with a group as long as we could, but after a few mechanicals and crashes, we simply had to share the workload between each other. The longest day yet on the bike, and coming in on Stage 4 (day 5 of the race), I think the whole field is feeling the fatigue. Just talking with more of my athletes here at the race, as well as some others we’ve befriended, many people had a “bad day”. Not all, but quite a few. Just legs/body/mind not performing like they have in days past, and if you can’t grab a wheel and sit in the draft, you’ll have an even worse day. We’re already 24hrs of racing deep into this race – which is quite a bit of time on the bike in only 5 days. In fact, it’s my biggest week yet. To illustrate this point further, let’s have a look at the SRMX Periodic Chart. What this is showing is total kJ expenditure per week (gray bars) and performance outputs (5s – 30min powers). 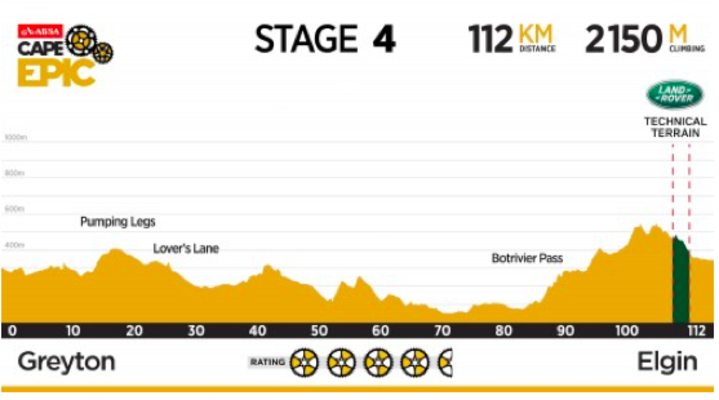 The chart actually starts at the later end of 2016 for me, and the past two weeks are at the far right, which includes all of Cape Epic thus far. The legend on the left indicates what color power outputs correlate with in the main chart. So rather than looking at volume of time to quantify workload, we’re looking at kJ, which quite a bit better of a measurement because it showing the effort that is being put on the bike, not just time. But, in general, when you have big volume, you should have some big kJ to go along with it, and that’s exactly what we see above. This is a great chart to refer to when looking at peak performances as well as time periods of big workloads to learn trends for yourself and your own training. Here’s a little disclaimer though on what you see above: I don’t have all of my data in here, so the month leading up to Cape Epic looks a bit light. 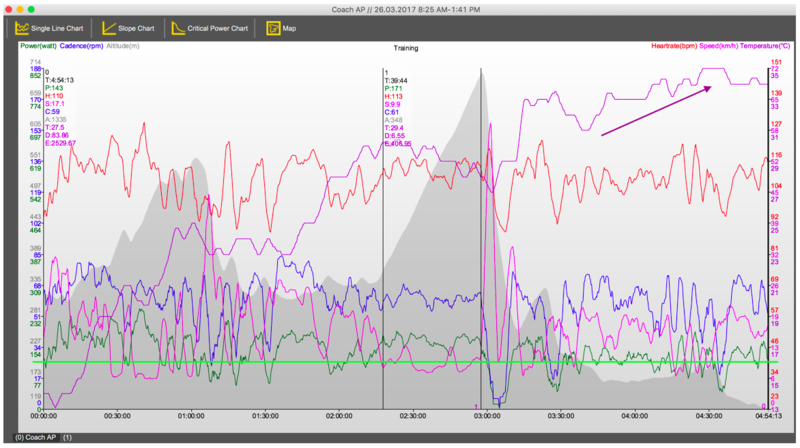 Yes, I did ride my bike more than 1,200-1,400kJ per week leading into this race ;) I should put all of my data in there so that this chart does look more representative of my normal training… but it’s late, and we’ve got Stage coming up nice and early tomorrow. Stay tuned for that and more! As I’ve described in a few stages back, the athlete always comes first. Coach Jane Marshall is taking great care of all the CTS athletes here with her team of mechanics, soigneurs, and drivers. Everyone wouldn’t be doing as well as they are without that support team in place. We put the athlete first by taking care of their needs over anything else and help them get to the finish line each day, as fast as they are willing to push themselves. For me, my main focus is Peter. He takes every pedal stroke himself, under his own power, and it’s up to me to coach him and provide the way to do so. Today, that path was rocky, rough, and downright HARD. All was going to plan when Peter’s stomach started acting up. We slowed the pace and just drank pure water. After 30min, it wasn’t improving. 45min, getting worse. So, we introduced food back into the system with small does of Bonk Breaker Chews (small electrolyte jelly chews) and it worked perfectly. The stomach wasn’t perfect, but we rebounded and finished strong. We closed out the day with only about 28min left before the time cut off – a little too tight for my liking, but we’ll take it for now. Legs up, Peter’s in for massage, and The Queen Stage comes tomorrow. 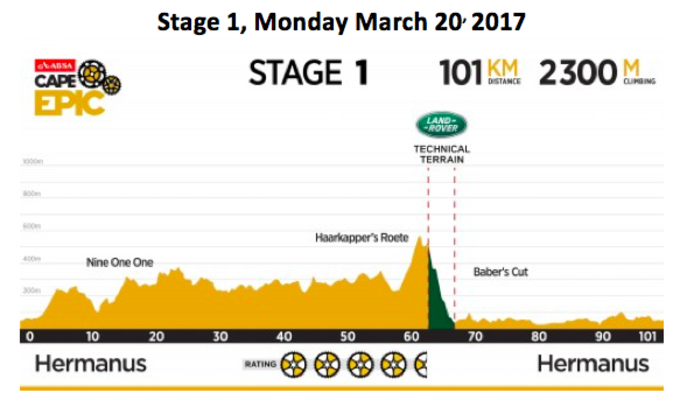 The Queen Stage of bike racing is the pinnacle of the bike race; it’s usually one of the longest in distance, has the most climbing, or both. 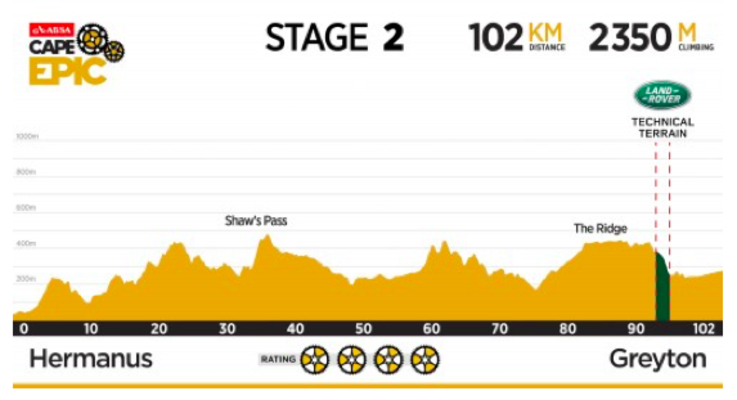 Every good stage race has a stage like this and Cape Epic’s Stage 6 fit the bill with 103km in duration and 2,750m of climbing. All of our athletes on this trip are starting to feel the fatigue. A breakfast, the nervous ticks, tired faces, and bandages on elbows, knees, and souls stood out. Everyone knew we were in for a long day, Peter especially. Keep in mind this guy is now 30lbs lighter than last year, but still 200lbs with his 6’3” stature. He’s not a small guy. So, this big of a day after 6 days previous of racing over mountains and in the heat is a tall challenge. My coaching points on the day were simple: keep moving, keep drinking, keep eating, and at all cost, get out of your own way mentally. There’s no power prescription or tactic that can get you through a stage like this when you’re 1 goal is get to the finish. It’s simple grit and toughness that will get you there. But an athlete’s mind will always start the negative self talk when the test is at its hardest and spirit is at it’s lowest. Recapping the successes of the week so far and explaining that we’re going to take it 1 climb at a time reassured him at the start line. He was very nervous about making the cut off times today, since yesterday was not the best and the legs were still feeling it. I reassured him that we could do it, had to avg at least 12.0km/hr, and not waist anytime. Away we went. Nearing the front of the race, another team of ours in the CTS group is Brad and Carla. They’ve been riding fantastic all week. Now is 6th overall in the Coed overall, they are sitting pretty for the final day tomorrow. 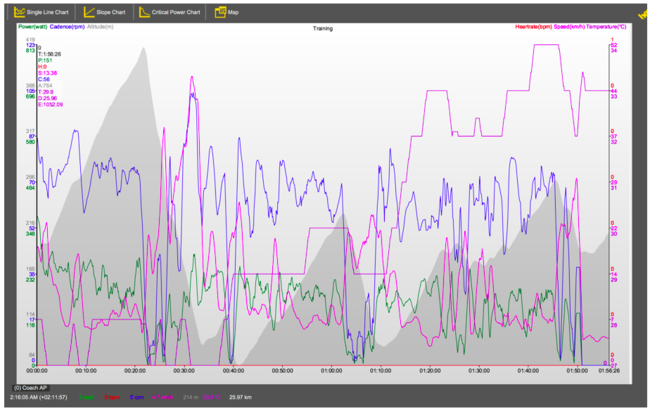 Tactics there too are simple: tempo in the flats, working with groups; threshold on the climbs; smooth on the descents. Simple. And it’s working. Could be a podium if we keep to the game plan and have a bit of luck. I’ll keep you posted on that. 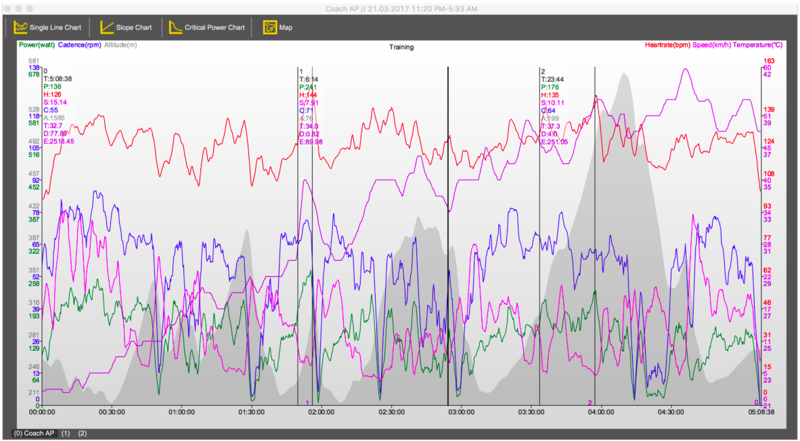 In this screen, I have kJ up top middle, temp on the far upper right, then max power, HR, cadence, speed… etc. You can take screenshots of whatever you want (like averages) and arrange these screens how you want. 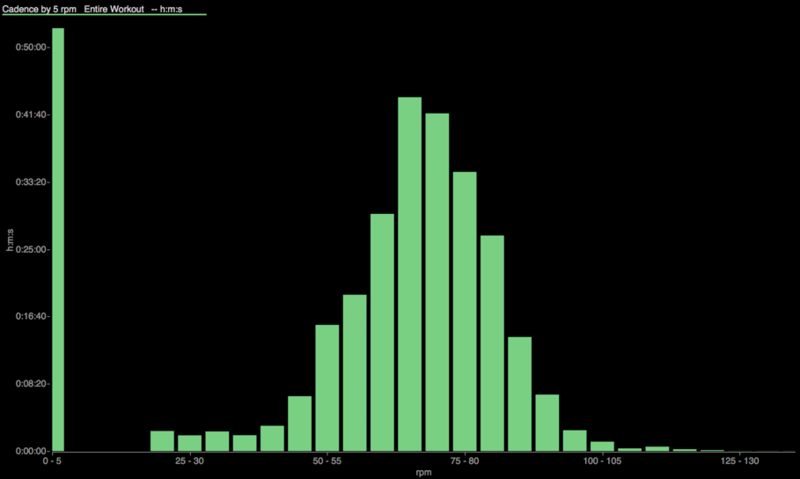 But, when I look at ride summaries as a snapshot, I look for total time, climbing, kJ’s, avg and normalized power. That’s about it. 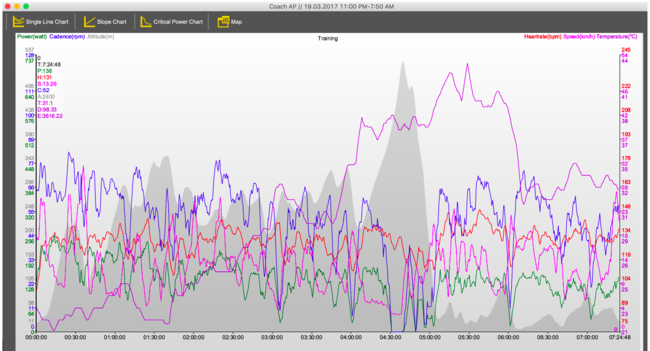 You could even make a screen of that to send to coach after: a perfect ride summary! Peter and the CTS crew are doing great, and ready for the final day tomorrow. Everyone is getting a massage or having dinner – I better go join them! Climbing straight away out of the gate again, but a bit more gradual than in stages past. The average power (see the green, horizontal line across the screen) was about the same as we have been averaging each day – right around 150W. Nothing too crazy at the first site, except for that little bump halfway through the course. Ouch. 6.5km of pavement straight up. That definitely hurt, but was more than manageable on black top. The smooth road surface and bending curves were welcome to us as we made our way up to the highest point on course for the day. But what the power meter doesn’t show is all the rocky, sandy, off-cambered, jeep road sections that we were diving into and out of all day long. You couldn’t settle into a rhythm or a pace – constant change was the only constant. And not to mention the heat was back… see the purple arrow above. All of us, Peter included, was feeling it. We could smell the finish line though, and forged ahead. The final sand pits lead way onto a large bridge constructed over the highway and shot us down on to the grounds of the legendary Val De Vie estate. 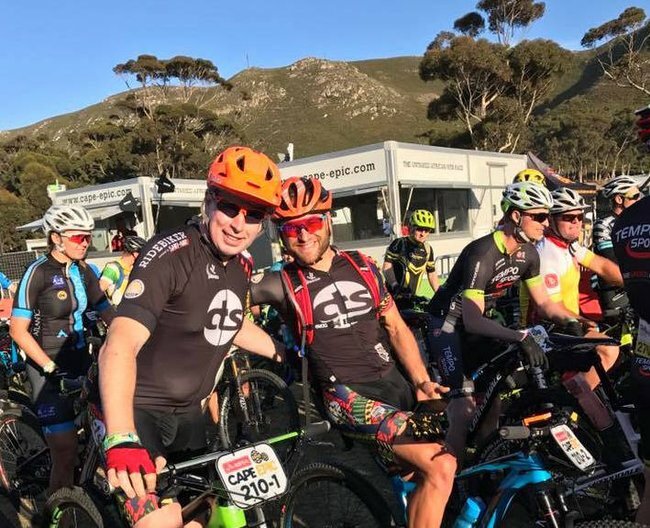 Peter and I looked at each other as we swept around the final right hand turn, smiled, gave the classic high-five, and without words crossed the finish line of the #untammed Cape Epic mountain bike race. What an incredible experience – for each athlete at this race – but for Peter especially. Just one year ago we were toying with the idea of doing this. Questions like “Can I do it?” and “Do I have what it takes?” were swarming in his head when he was dreaming up the goal; and to be honest these questions didn’t leave us until we crossed that finish line. When you’re trying to accomplish something big in life, perhaps something bigger you ever dreamt possible, it will test you. You’ll have to work for it, every centimeter along the way - but that’s when you know you’re on the right path. Being pushed to the limits is where you find yourself, where you get to explore the answers to the questions that get whispered to you late at night. For Peter and the whole CTS crew, we explored quite a bit on this journey. 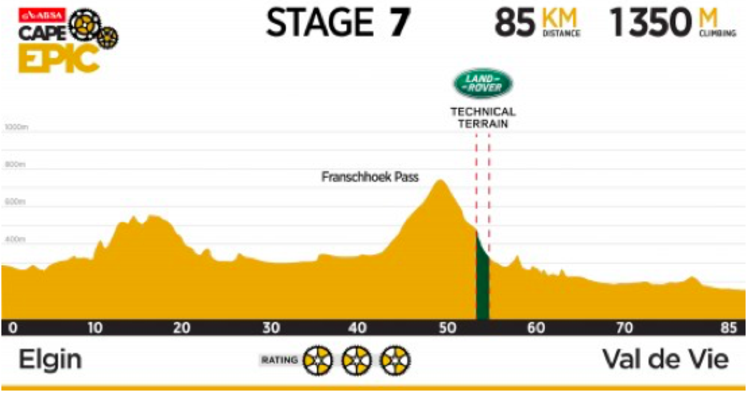 And if you want to that next challenge, I highly recommend the Cape Epic for 2018.